Functionlab Menopause with Osteo Support is a complex product that combines a daily dose of nutrients needed for maintaining healthy bones, with compounds that are helpful in treating the symptoms of menopause. The key factors this supplement depends on include optimal health for bones, as well as hormonal balance for women that go through the onset of menopause. We looked at the list of ingredients for Functionlab Menopause with Osteo Support to see how exactly this product can help you achieve the required health levels to combat the side effects of menopause. What Does Functionlab Menopause With Osteo Support Contain? The minerals and vitamins listed are aimed particularly at bone health support, while the presence of herbal remedies like black cohosh and red clover are used for treating the symptoms of menopause, particularly hot flashes. While this formula seems to be quite well put together, it could have served to have more nutrients included for overall health. The recommended dosage is a pack daily, each pack containing four tablets and two capsules. 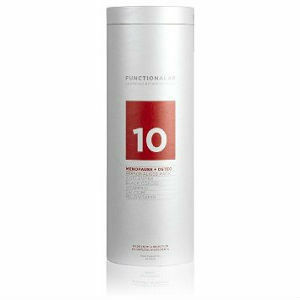 Functionlab Menopause with Osteo Support costs 109USD for 30 servings, or one month supply, which is quite expensive. A 30 days money back guarantee is offered for returns containing opened bottles, but not empty or almost empty. Functionlab Menopause with Osteo Support is a dependable formula, by the look of the list of ingredients. It has the nutrients needed for bone health, and it contains herbal remedies for menopause symptoms. However, it is quite expensive for what it is offering and you need to take quite a large quantity of pills daily, in order to enjoy all its benefits. Jackie Horowitz	reviewed Functionlab Menopause With Osteo Support	on August 15th	 and gave it a rating of 2.5.